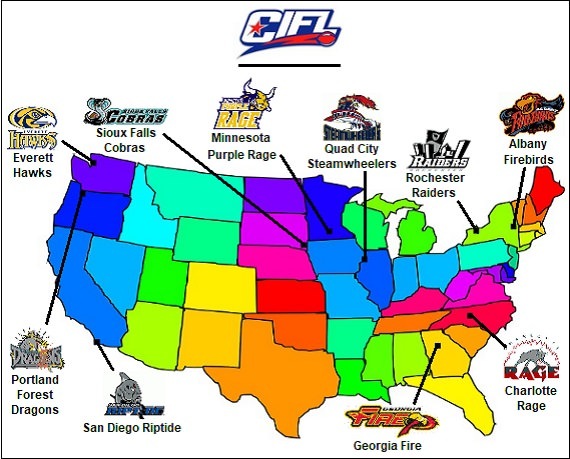 The CIFL plays its games using a combination of players from the Indoor Football League, Champions of Indoor Football and the National Arena League. 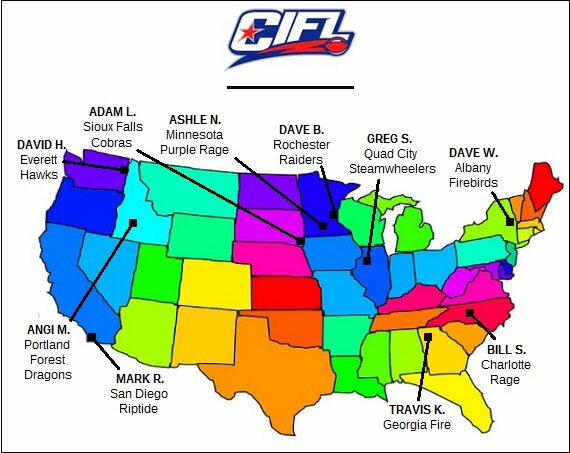 The CIFL begins its season the weekend of March 23-26. Ten teams make up the league, forming two divisions, the IFL and CIF. The 2018 draft was held over a multi-day span in March. During the first two seasons of the league, eight teams competed. The Quad City Steamwheelers returned to the CIFL after a one-year hiatus, and the league welcomed the expansion Minnesota Purple Rage to bring the league up to 10 teams in 2018. 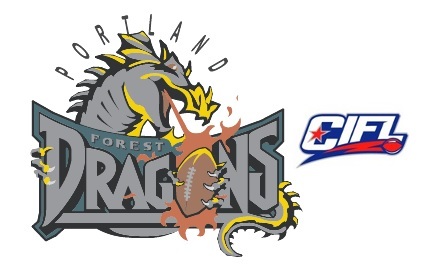 During the inaugural 2016 season, the Forest Dragons went 7-3, ending in a three-way tie for first in the IFL Division with the Rochester Raiders and the San Diego Riptide. However, the Forest Dragons were eliminated from the playoffs due to a tiebreaker. The lost their first game in the consolation round before picking up seventh place. Last season, 2017, the Forest Dragons finished the regular season at 3-7. They were out of playoff contention and would be reverted to the Consolation Round. They lost both their games in the post season and finished eighth. That would give Portland the highest seed in the 2018 CIFL Draft among returning teams. 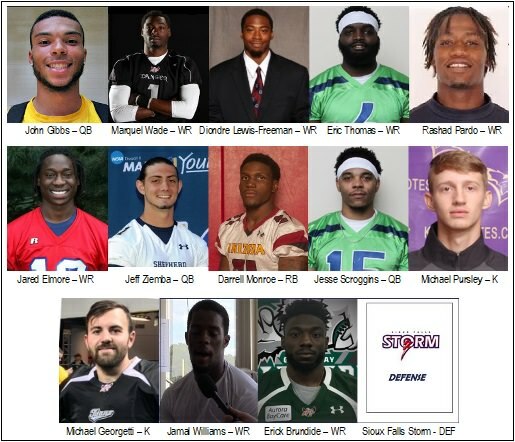 With the additions of the Steamwheelers and the Purple Rage, the Forest Dragons held the third selection in the 2018 Draft. 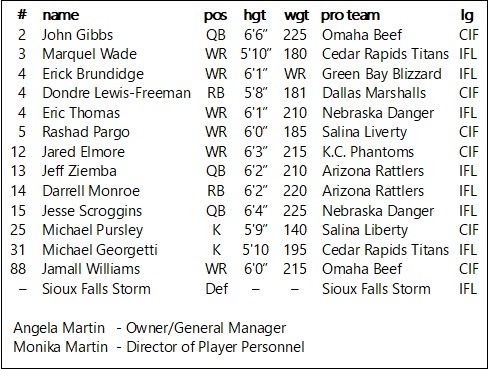 They selected quarterback Damien Fleming of the IFL's Nebraska Danger. However, they were forced to release him when he went down for the season with an Achilles injury on March 19. They turned around in the second round selected running back Darrell Monroe of the IFL's Arizona Rattlers. The Forest Dragons are innovative when it comes to technology and have created the league's first media guide blog and thread in March 2016. This is the third incarnation of that blog. The team is run by using a notebook computer, tablet and cellular phone. This enables its executive staff the flexibility in coordinating activities involving both the team and the league; 24 hours a day, seven days a week. The Forest Dragons are owned by Angela Martin, a native of the Portland area who attends college in Boise, Idaho. 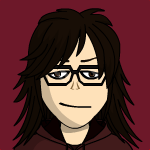 She also serves as the team's General Manager. Martin was the lone female owner in the CIFL until March of 2018 when the league announced the addition of the Purple Rage, owned by Ashle Norling. She is currently a junior in college studying communications. On March 17, 2016, Martin announced that her youngest sister, Monika, would serve as a consultant for the team. On March 14, 2018, Monika Martin was promoted to the positions of Director of Player Personnel and Lead Scout. Portland plays its games on the fields of the aforementioned league's indoor football arenas and is filtered through Goal Line Software. *Not pictured is first round pick Damien Fleming, who was released by the team after suffering an Achilles injury in a CIFL "pre-season scrimmage" against the Cedar Rapids Titans. *Due to an abundance of IFL, CIF and NAL bye weeks, weeks 6 and 7 have been combined into one week. "In a world with such a lack of definition, we, the Portland Forest Dragons will seek to bring stability to the CIFL's Championship trophy. Mainly, we aim to bring that trophy to the Rose City and keep it here. This season is the first step in that process. We want to bring our fans exciting football with talented players who will represent our region well. My sister and I are engulfed in the painstaking, and exciting, process of building our roster to a championship pedigree. Our draft board was large, but we narrowed our options to those players who we feel will fit with the Portland community. We are excited to continue play in a progressive league such as the CIFL. Additionally, we are excited to welcome back the Quad City Steamwheelers, and to welcome Ashle as she builds the Minnesota Purple Rage franchise. We're looking to make a run through the regular season, and intend to see our fans on the other side of the CIFL Bowl hosting the championship trophy." "And the Dragon emerged from the Forest. Its opponents quivered, shook and ran. Alas, there was no being outside of the Dragon's grasp. Its fire was far-reaching and limitless. In the end, all others were burned, and the Dragon stood tall and victorious." *Rd. 1, Pick 3 -- QB Damien Fleming: "Our draft room was excited that we could build our 2018 team around a veteran player of Damien's abilities. We are thrilled to have Damien's leadership and dual-threat ability and look forward to surrounding him with the tools he needs to turn the Forest Dragons into the 2018 CIFL champions." Rd. 2, Pick 18 -- RB Darrell Monroe: "We're looking forward to utilizing Darrell's punishing running style to brutalize opposing defenses. His mere presence on the field offers us great flexibility in our offensive scheme. We're thrilled to welcome Darrell to Portland." Rd. 4, Pick 38 -- WR Jamall Williams: "Jamall is a steady receiver who will bring consistency to our group. We look forward to bringing him to Portland to help build our team." Rd. 5, Pick 43 -- WR Rashad Pargo: "Rashad is a big-time player with exceptional game-breaking ability. He is going to make an immediate impact to our team with his ability to make the pivotable play. Portland fans, and fans of the region, are going to love what Rashad can do for this team." Rd. 6, Pick 58 -- RB Diondre Lewis-Freeman: "This pick will give us a whole lot of flexibility in our running game. Diondre is a talented runner who can put points on the board quickly. We're very excited about this selection." Rd. 7, Pick 63 -- WR Marquel Wade: "Wade made an immediate impact in his very first game with the Titans, and we think he can do the same for the Forest Dragons. We look forward to what he can bring to our receiving group over the course of the season." Rd. 8, Pick 78 -- WR Jared Elmore: "We were pleased to see that Jared was still on the board. He's very talented, so it didn't take us long to pull the trigger on this pick." Rd. 9, Pick 83 -- QB Jeff Ziemba: "Jeff is a steady quarterback we expect to get better over the course of the season. We are confident he will serve as a capable backup to Damien Fleming and push Damien at the same time." Rd. 10, Pick 98 -- DEF Sioux Falls Storm Defense: "This group is hungry. It won six straight IFL championships before being denied their seventh. This group is coming out on a mission, and they will get it done." Rd. 11, Pick 103 - K Michael Pursley: "Michael has shown a propensity for getting things done. He just makes kicks and that is what we want. He is a prime time indoor football player, and we think he's going to get a kick out of playing for the Forest Dragons." Rd. 12, Pick 118 -- QB John Gibbs: "We were pleased to see a passer of John's abilities still available in this round. He is going to give us depth at the position and, we're sure there is a family connection to Special Agent Leroy Jethro Gibbs from NCIS." Rd. 13, Pick 123 -- QB Jesse Scroggins: "We received word today that our first round pick, Damien Fleming will miss the entire CIFL season with an Achilles injury. While this was devastating, we plan to make Jess an instrumental part our team. We've followed Jesse's career since last season in Salt Lake. We feel confident in his abilities as he steps in for Damien with the Danger this season." Rd. 14, Pick 138 -- WR Erick Brundidge: "Erick just came off of Short-Term IR, and he is ready to go. We labored all night, overnight, and could not believe our good fortune. Erick had a wonderful 2017 season. The timing was perfect and we see him as a season-long Forest Dragon." Rd. 14, Pick 141 (compensatory selection) K Michael Georgetti: "We were looking for a backup kicker and were pleased when Michael was available. He will appear in our season opener against the Charlotte Rage and will have an opportunity to compete for the starting position going forward." *Quarterback Damien Fleming suffered a season-ending Achilles injury on March 19. He was released on March 23 in order to create a roster position for the Forest Dragon's compensatory selection of kicker Michael Georgetti. 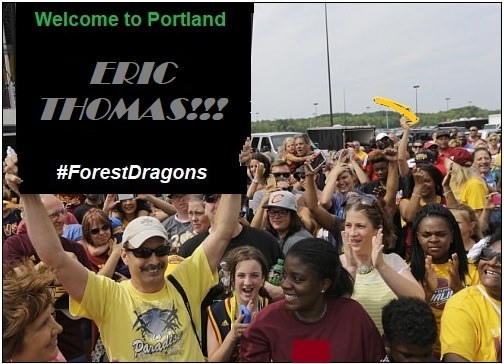 Forest Dragons fans gather outside the Portland Airport to greet third-round pick Eric Thomas. The Portland Forest Dragons have announced the addition of kicker Michael Georgetti with their compensatory selection at the end of the 14th round of the 2018 Draft. The selection was created by the CIF rescheduling of the March 24 game between the Salina Liberty and the Dallas Marshals. That game will be played now on May 12. Three CIFL teams were affected by the schedule change. Forest Dragons kicker Michael Pursley plays for the Salina Liberty. As his team ended up with a bye week, CIFL owners agreed to allow those three teams to make a compensatory selection. That is when the Forest Dragons selected Georgetti. "The CIF threw in a monkey wrench into our schedule with their adjustment," Forest Dragons owner Angi Martin said. "I would like to personally thank my fellow CIFL owners for allowing us to adjust our own schedule and rosters so that we can embark on our first season. We are looking forward to an exciting 2018 season and to competing with our fellow teams." In order to create a roster position to select Georgetti, the Forest Dragons were forced to release their first-round pick, quarterback Damien Fleming. The Nebraska Danger signal caller suffered an Achilles injury on March 19 and will miss the entire season. "This is the most unfortunate situation in all of sports and we feel for Damien, and we know he is more disappointed than anyone else about missing the season." Martin said. "Regardless of which CIFL team gets the chance to draft Fleming next year, we wish him well in his recovery and where ever he lands." The Forest Dragons open their season on March 23-26 against the Charlotte Rage. The Portland Forest Dragons announced today that they have signed running back JeR'yl Christian of the Amarillo Venom (CIF). "We're excited to bring JeR'yl on to our roster," the team said in a press release. "He's an exciting rusher who will bring toughness and playmaking ability to our team. JeR'yl will have an immediate opportunity to compete for a starting position for the Forest Dragons." To clear a roster position, the team announced it has released kicker Michael Georgetti of the Cedar Rapids Titans. "Michael played in just a single game for us this season and contributed to our season-opening win," the press release stated. "We're thankful to him for his work ethic and positive attitude. We wish Michael nothing but the best as he continues his career." The Forest Dragons (1-1) will face the Everett Hawks (1-0-1) in week 8 of the IFL season, which will be played April 13-16. - QB Richard Adkins, Texas Revolution (CIF) has been signed by the Forest Dragons, who have released WR Erick Brundidge, free agent. - WR Jarrel Kelley, Texas Revolution (CIF) has been signed by the Forest Dragons, who have released QB Dillon Turner, Sioux Falls Storm (IFL). "We are thrilled to bring in a pair of players with Richard and Jarrel's capabilities," the team said in this very statement. "We look forward to seeing them both put up some big numbers for the Forest Dragons. We would like to express our appreciation to Erick and Dillion for their time and service to the team, and we wish them the very best in their future career endeavors." - K Ali Mourtada, Massachusetts Pirates (NAL) has been signed by the Forest Dragons, who have released RB Dondre Lewis-Freeman, Dallas Marshals (CIF). "We have been pleased with the performance of our kicker, Michael Pursley, thus far this season," the team said in this very statement. "With Michael's week 12 coming up in week 12, we wanted to be pro-active in solidifying our roster for that week. Not only will Ali fill in in the following week, he also will be given an opportunity to earn a permanent position on our roster. Additionally, we would like to thank Dondre for is tireless work ethic and commitment to our team in the short time he has been with the Forest Dragons. As an organization, we wish him in his future career endeavors." - QB Bryan Hicks, Green Bay Blizzard (IFL) has been signed by the Forest Dragons, who have released WR Jarrel Kelley (free agent). - WR Andre Taylor, Kansas City Phantoms (CIF) has been signed by the Forest Dragons, who have released QB Jesse Scroggins II (free agent). The Portland Forest Dragons have announced the following roster updates. - RB Dylan Peebles, Arizona Rattlers (IFL) has been singed by the Forest Dragons, who have released RB JeR'yl Christian, Amarillo Venom (CIF).